The best wedding photographs are almost always unplanned and spontaneous. This photo was taken literally five minutes before I was due to leave this wedding. 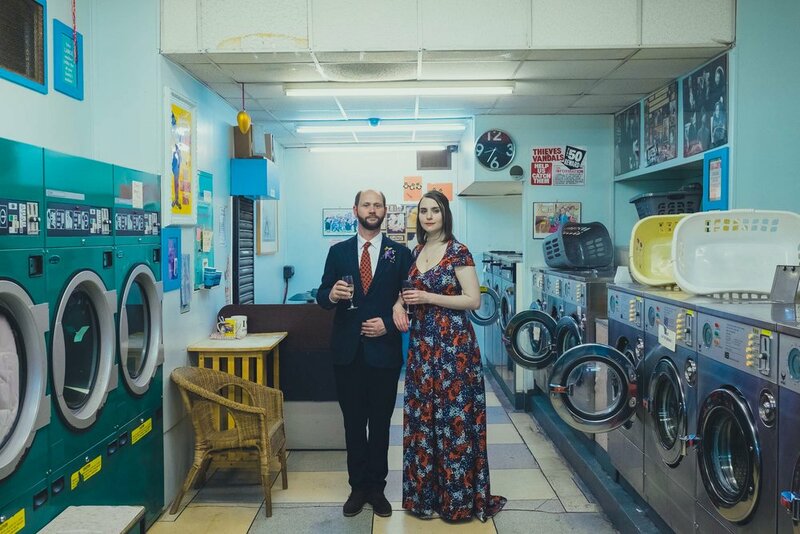 I always like to get a parting shot with couples, and as we ventured out of the Round Chapel on Lower Clapton Road, I spotted an a late night laundrette open with it’s door invitingly open. We popped in, and it took just 2-3 minutes to get a few quirky, charming posed photos that are the couple’s favourite shots of the day.